Arendal 1723 5.1 Speaker Package Review. Read the complete review here. “Arendal have done a marvellous job of designing and building their 1723 Series of speakers. They may appear very traditional but that’s not a bad thing in our book and the company’s careful attention to detail and the excellent build quality means you get a range of speakers that look and feel far more expensive than they actually are. The downside to all this careful engineering is that they are large and heavy, even the Surrounds, which means you will need to take that into account when installing them. However don’t be fooled by the Monitor’s tank-like appearance because Arendal’s attention to detail extends to every aspect of the engineering on the inside as well as the outside and these speakers perform. 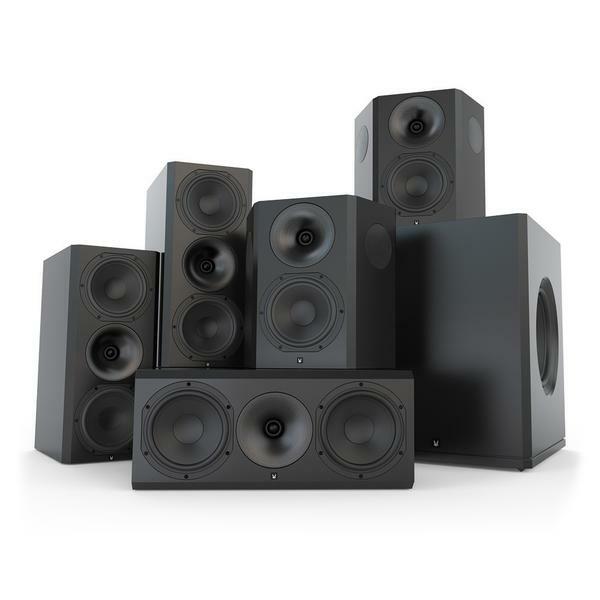 This means that the Monitor, Center and Surrounds are nimble and responsive when they need to be but also capable of being very dynamic, making the most of the power that’s fed into them, and resulting in a big sound that befits their size. The inert cabinets and neutral audio qualities deliver lovely detail and clarity whilst the low-end capabilities coupled with the powerful but fast Subwoofer 2 results in bass that is solid and deep. The entire system is also perfectly matched in terms of tonal balance, which means that the steering and positioning of effects is impeccable, and the Surrounds create a suitably immersive sound field at the rear.